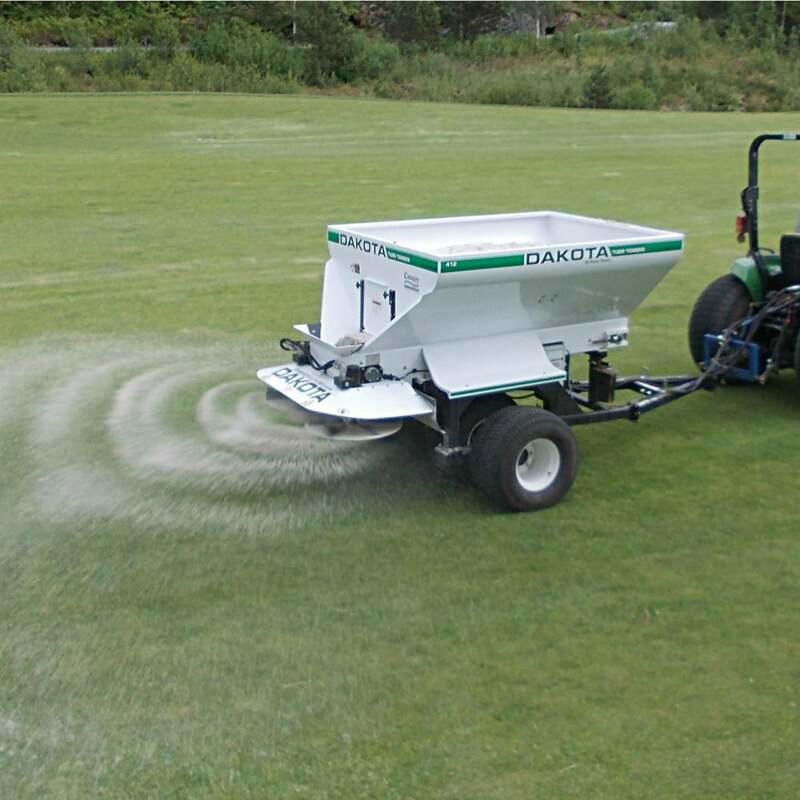 The Dakota 412 is a mid-range top-dresser for the fast transportation & application of top dressing. It will handle both wet & dry materials allowing light to heavy dressings, and can easily be loaded with a 1.8m wide tractor bucket. It features accurate and easy to operate calibration with no manual adjustment. The 412 model features 4 x 14” Ultra-Trac turf tyres on independent floating beam axles for maximum weight distribution. Controls are electro-hydraulic operated from the operators seat, or for the basic manual model with electric stop - start with no vibration.